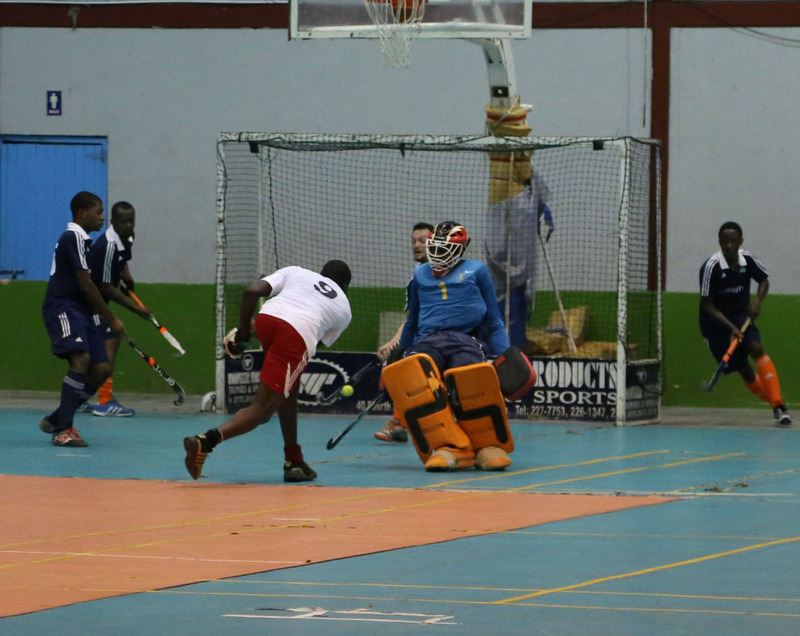 Old Fort and Pit Bulls secured the hard-fought wins over Saints and Georgetown Cricket Club (GCC) respectively when the Lucozade Indoor Hockey League continued on Friday at the National Gymnasium on Mandela Avenue. In the feature contest, Old Fort edged GCC by a 3-2 score line. Aderemi Simon recorded a double in the win while Jason DeSantos added to the result. For the Bourda based unit, Kevin Spencer and Daniel Hooper scored. On the other hand, Pitbulls compliments of helmet trick from Mark Sargeant defeated Saints 4-3. 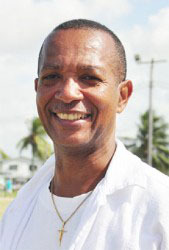 On target in the loss were Kevin Edwards, Ato Green and Hilton Chester. 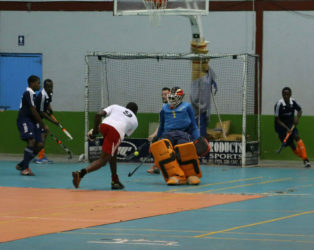 Old Fort’s Aderemi Simon unleashing a powerful shot which was denied by GCC’s Stephen Xavier (behind the goalkeeper) during their matchup at the National Gymnasium.